Generative Jewelry Design is a new online community for jewelry designers who are exploring new shapes using generative algorithms and algorithm editors like Grasshopper. 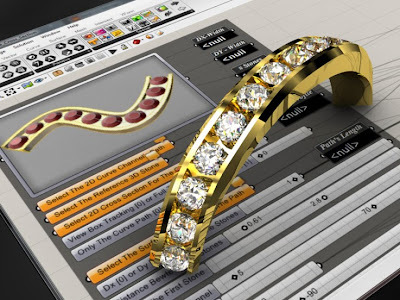 Generative Jewelry Design with Rhino is a new way to model jewelry where a design describes a change. It is the transition from entities to operations. A form is created by a series of mathematical operations, instead of being the outcome of applying a conventional command.